Beatles Ultimate Experience: Songwriting & Recording Database: Help! JOHN 1965: "We think it's one of the best we've written." JOHN 1980: "The whole Beatle thing was just beyond comprehension. 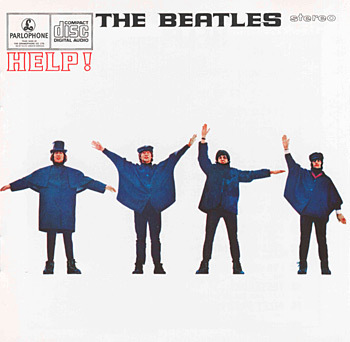 When 'Help' came out, I was actually crying out for help. Most people think it's just a fast rock 'n roll song. I didn't realize it at the time; I just wrote the song because I was commissioned to write it for the movie. But later, I knew I really was crying out for help. So it was my fat Elvis period. You see the movie: He -- I -- is very fat, very insecure, and he's completely lost himself. And I am singing about when I was so much younger and all the rest, looking back at how easy it was. Now I may be very positive... yes, yes... but I also go through deep depressions where I would like to jump out the window, you know. It becomes easier to deal with as I get older; I don't know whether you learn control or, when you grow up, you calm down a little. Anyway, I was fat and depressed and I was crying out for help." PAUL 1984: "John wrote that... well, John and I wrote it at his house in Weybridge for the film. I think the title was out of desperation." JOHN 1965: "'The Night Before' that Paul does is good." PAUL circa-1994: "I would say that's mainly mine. I don't think John had alot to do with that." JOHN 1965: "One I do which I like is, 'You've Got To Hide Your Love Away.' But it's not commercial." JOHN 1971: "It's one of those that you sort of sing a bit sadly to yourself, 'Here I stand/Head in hand.' I started thinking about my own emotions. I don't know when exactly it started, like 'I'm A Loser' or 'Hide Your Love Away,' or those kind of things. Instead of projecting myself into a situation I would just try to express what I felt about myself which I had done in me books. I think it was Dylan helped me realize that-- I had a sort of professional songwriter's attitude to writing Pop songs, but to express myself I would write 'Spaniard In The Works' or 'In His Own Write' --the personal stories which were expressive of my personal emotions. I'd have a separate 'songwriting' John Lennon who wrote songs for the sort of meat market, and I didn't consider them, the lyrics or anything, to have any depth at all. Then I started being me about the songs... not writing them objectively, but subjectively." JOHN 1980: "That's me in my Dylan period again. I am like a chameleon... influenced by whatever is going on. If Elvis can do it, I can do it. If the Everly Brothers can do it, me and Paul can. Same with Dylan." PAUL 1984: "That was John doing a Dylan... heavily influenced by Bob. If you listen, he's singing it like Bob." JOHN 1980: "'Another Girl' is Paul." PAUL circa-1994: "It's a bit much to call them fillers because I think they were a bit more than that, and each one of them made it past the Beatles test. We all had to like it." GEORGE 1965: "We are always worried with each record. With 'Ticket To Ride' we were even more worried. There's bound to be a time when we come in at 19 (on the charts). But this 'number one' business doesn't seem to stop-- great while it lasts-- but now we'll have to start all over again and people will start predicting funny things for the next one." JOHN 1970: "It's a heavy record, and the drums are heavy too. That's why I like it." JOHN 1980: "That was one of the earliest heavy-metal records made. Paul's contribution was the way Ringo played the drums." PAUL circa-1994: "I think the interesting thing is the crazy ending-- instead of ending like the previous verse, we changed the tempo. We picked up one of the lines, 'My baby don't care,' but completely altered the melody. We almost invented the idea of a new bit of a song on the fade-out with this song... It was quite radical at the time." JOHN 1972: "That's the one song I really hate of mine. Terrible lyric." JOHN 1980: "'It's Only Love' is mine. I always thought it was a lousy song. The lyrics are abysmal. I always hated that song." PAUL circa-1994: "Sometimes we didn't fight it if the lyric came out rather bland on some of those filler songs like 'It's Only Love.' If a lyric was really bad we'd edit it. But we weren't that fussy about it, because it's only a rock 'n roll song. I mean, this is not literature." PAUL circa-1994: "'I seem to remember it as mine... Not awfully memorable." PAUL circa-1994: "I think of this as totally by me. It was slightly country and western from my point of view. It was faster, though. It was a strange uptempo thing. I was quite pleased with it. The lyric works. It keeps dragging you forward... it keeps pulling you to the next line. There's an insistent quality about it." 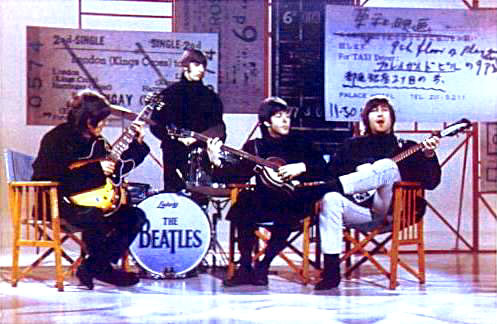 JOHN 1966: "'Yesterday' is Paul completely on his own, really. We just helped finishing off the ribbons 'round it, you know -- tying it up." PAUL 1968: "I just started playing it and this tune came, 'cuz that's what happens. They just, sort of-- they COME, you know. It just came and I couldn't think of any words to it, so originally it was just, 'Scrambled Egg.' It was called 'Scrambled Egg' for a couple of months, until I thought of 'Yesterday.' And that's it. True story." JOHN 1980: "Paul wrote the lyrics to 'Yesterday.' Although the lyrics don't reslove into any sense, they're good lines. They certainly work, you know what I mean? They're good-- but if you read the whole song, it doesn't say anything; you don't know what happened. She left and he wishes it were yesterday-- that much you get-- but it doesn't really resolve. So, mine didn't used to either. I have had so much accolade for 'Yesterday.' That's Paul's song, and Paul's baby. Well done. Beautiful-- and I never wished I'd written it." PAUL 1984: "It fell out of bed. I had a piano by my bedside and I... must have dreamed it, because I tumbled out of bed and put my hands on the piano keys and I had a tune in my head. It was just all there, a complete thing. I couldn't believe it. It came too easy. In fact, I didn't believe I'd written it. I thought maybe I'd heard it before, it was some other tune, and I went around for weeks playing the chords of the song for people, asking them, 'Is this like something? I think I've written it.' And people would say, 'No, it's not like anything else, but it's good.'" PAUL 1986: "The hits are always the ones you thought wouldn't be hits, like 'Yesterday' or 'Mull Of Kintyre.' I didn't want to put them out. We didn't put 'Yesterday' out in England, it was only here (America) that it was a single. We didn't think it was going to be a good idea... so it's crazy how it goes." PAUL 1988: "We didn't think it fitted our image. In fact, it was one of our most successful songs." JOHN 1980: "That's me trying a rewrite of 'This Boy,' but it didn't quite work." PAUL circa-1994: "I was there writing it with John, but it was his inspiration that I helped him finish off. 'Yes It Is' is a very fine song of John's." JOHN 1980: "That's Paul... with a little help from me, I think." PAUL circa-1994: "I could do Little Richard's voice which is a wild, hoarse, screaming thing-- It's like an out-of-body experience. You have to leave your current sensibilities and go about a foot above your head to sing it. Alot of people were fans of Little Richard so I used to sing his stuff, but there came a point when I wanted to do one of my own, so I wrote 'I'm Down.'" PAUL 1965: "I don't know. I just don't think anybody will want to hear a song called, 'Eight Arms To Hold You.' So it was a crummy title I think. It was ok... we were getting a bit desperate for titles, and then Ringo said, 'Eight Arms To Hold You' ...and we all said, 'Great!' But then we suddenly realized a couple of days later that we were all sick of it and didn't like it. We thought it was a bit daft." 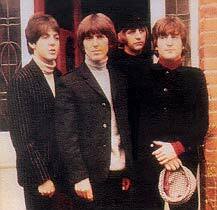 JOHN 1965: "If you play our early records and the late-- even though we haven't made all that many-- there's alot of difference. Even recording technique. If you improve that slightly-- your sound changes, basically." JOHN: "As for Capitol-- they'll come 'round after we settle it." PAUL 1965: "We just write songs, and they are fitted into the film. That's what we did last time. We're not like other songwriters who get suggestions from certain lines in a movie script. Often we write the tunes first, without having a title. We'll get that later." PAUL circa-1994: "John would often have the melody and the lyrics to one verse, and the trickiest thing is making any more of it. The second verse is nearly always the killer because you've often said it all in the first verse, but by pushing yourself you can actually get a second verse better than your first. It's always more difficult because you mustn't repeat yourself-- you've got to take the idea somewhere else, but it has to have the same metre and the same melody. That was often where he or I needed help. There tended to be four verses in our songs, one chorus that repeated endlessly, and a middle-eight. So if it was John's idea, generally I would come in at the second verse. The first verse was always good to finish with-- it was like, 'Remember what I told you at the beginning of this song? I'm going to reiterate it now.' That was always a good little trick."